Made in the heart of the Bas Armagnac region, it has a nose with aromas of underwood, vanilla, pepper and alcohol. Aromas of pepper in the mouth but also toffee and rancio, the sign of a well mastered maturation. Fairly long length with intense aromatic persistence. 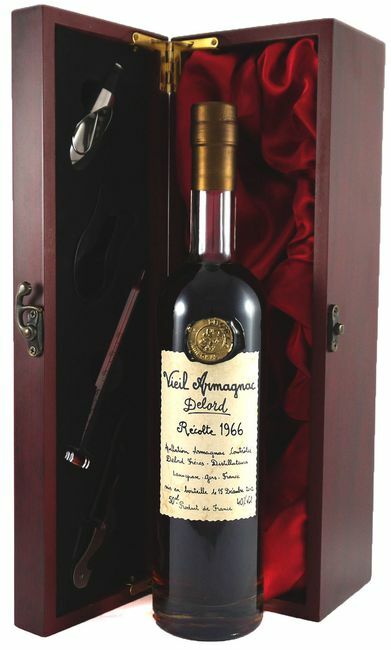 This wonderful armagnac makes an ideal gift for someone born in 1966. An amazing gift.